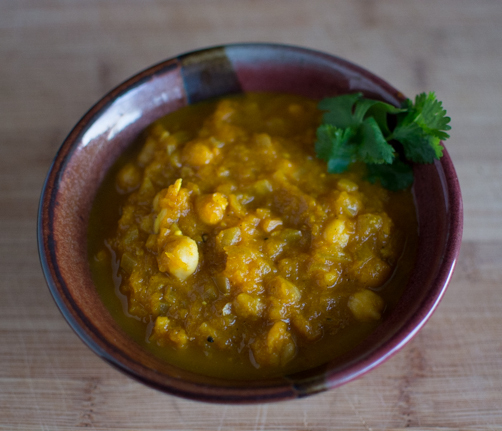 As promised on Facebook last week I’m sharing the recipe for a super easy and delicious pumpkin curry. I made this using half of a sugar pie pumpkin. 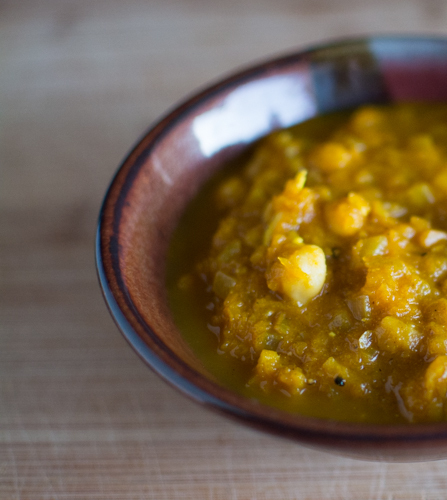 In less than 35 minutes you’ll have a deliciously rich curry to eat as is, served over rice, or greens like kale and arugula. 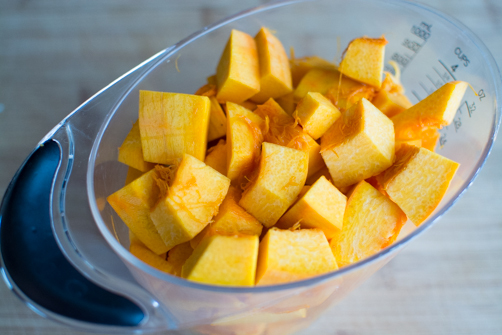 Peel the pumpkin using a potato peeler, halve it and scoop out the seeds. Take one half and chop it – enough so that you have 4 cups. Simmer with broth and seasonings until tender. Then mash with a potato masher to break up the pumpkin. Line a large saucepan with water, add onion and sauté for 3 minutes until translucent. Add garlic and ginger and sauté a minute more - adding more water if needed so things don't stick. Add in curry, chili and cumin and stir until incorporated. 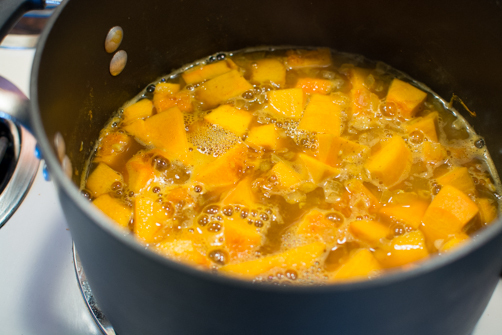 Add pumpkin and 2 cups of vegetable broth and cook on low-medium heat for 20-30 minutes until pumpkin is tender. Once tender add vinegar and salt. 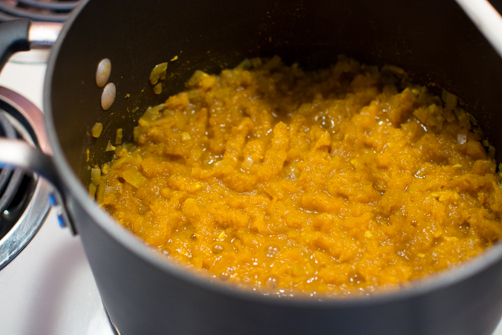 Mash with a potato masher until all pumpkin pieces are mostly broken. Stir in chickpeas and another cup of water. Add ground pepper to taste. What do you do with the other half of the pumpkin? Steam it and incorporate it into your salads and smoothies the rest of the week or double this recipe and have some leftovers.